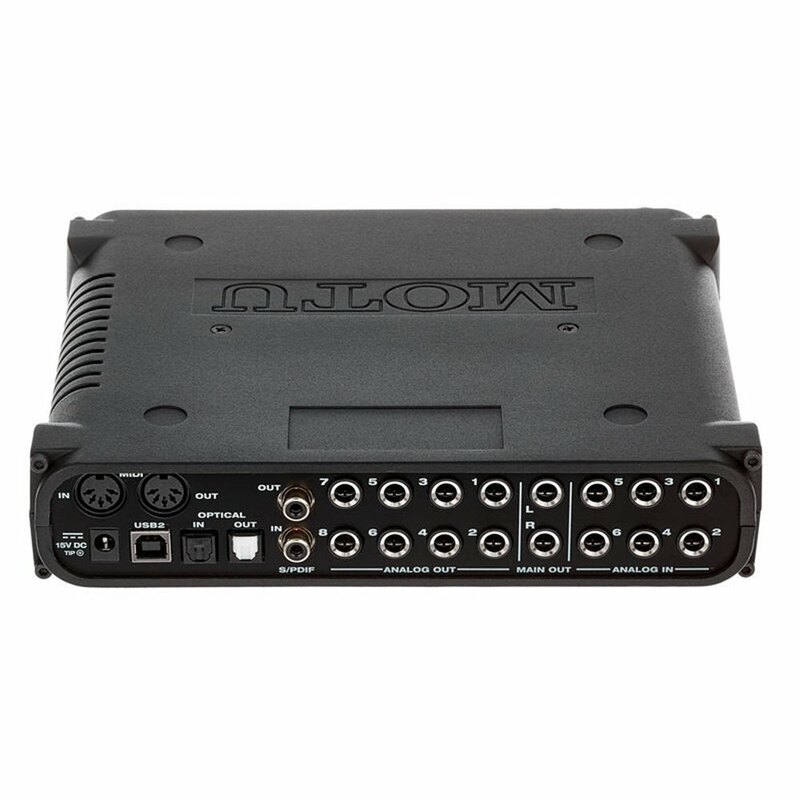 With 18 inputs and 22 outputs, the MOTU UltraLite-mk4 audio interface packs a lot of I/O for its size. Optimized drivers ensure impressively low latency, while 24-bit/192khz-quality audio gives rise to excellent-sounding recordings. You'll enjoy large console-style mixing with 48 channels and 12 stereo buses, by virtue of the UltraLite-mk4's powerful DSP mixer. 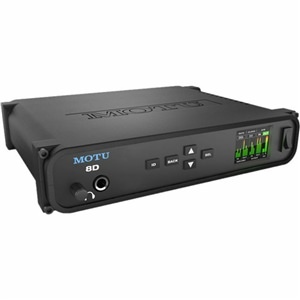 Incredibly flexible matrix routing quickly patches inputs to outputs, or splits inputs to multiple destinations. Onboard 32-bit floating point processing provides you with modeled vintage effects. 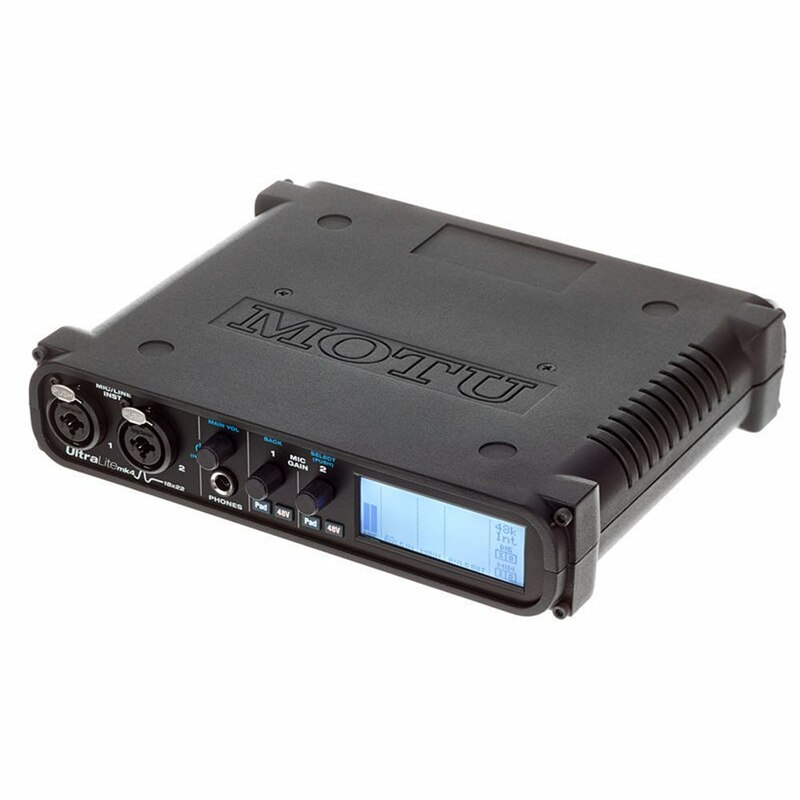 The MOTU UltraLite-mk4 audio interface can also be controlled wirelessly with your smart device or computer, making it ideal for mobile mixing. 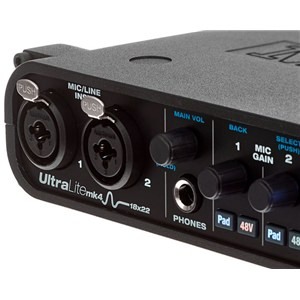 One reason the MOTU UltraLite series has been so popular and well loved here at Sweetwater is the fact that these interfaces sound incredible, while remaining extraordinarily versatile. You can record up to 24-bit/192khz-quality audio with impressively low latency, and the UltraLite-mk4 offers a pair of combo mic/line/hi-Z inputs, six line-level inputs, 10 analog outputs, headphone out, S/PDIF, and ADAT for a total of 18 inputs and 22 outputs. 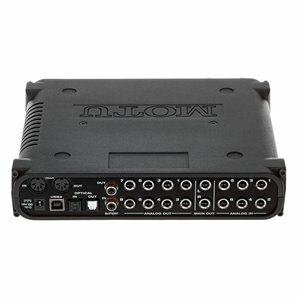 Best of all, the UltraLite-mk4's onboard DSP routes signals with no latency and no processor strain on your computer. 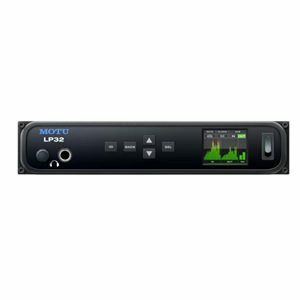 With built-in effects and DSP routing, the MOTU UltraLite-mk4 dials in great headphone mixes without taxing your computer. The effects include British EQ, vintage compression, and classic reverb. Of special note, you'll appreciate the built-in accurate model of the legendary LA-2A optical compressor which provides vintage, musical automatic gain control. These aren't just ho-hum effects - these are great-sounding tools you can use to create wet headphone mixes while you keep a dry monitor mix. 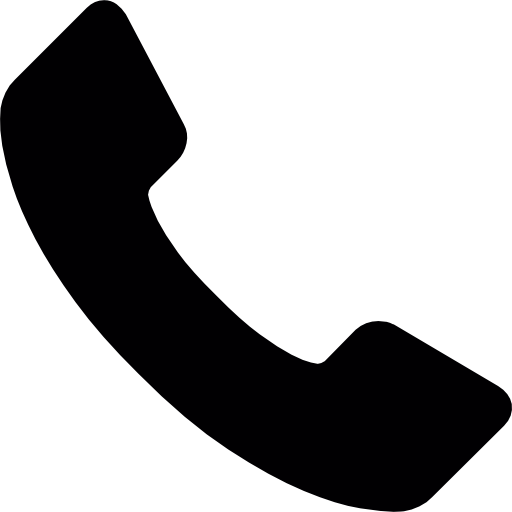 But if you want, you can record your signals wet, so you don't have to waste CPU on effects later down the line. You can also inspect your audio with advanced diagnostic tools, including a real-time FFT display, spectrogram, oscilloscope, X-Y plot, and phase analyzer. 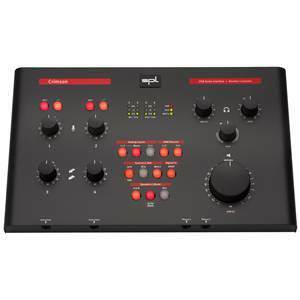 Take the UltraLite-mk4 to your next gig and and use it as a regular mixer, complete with effects. 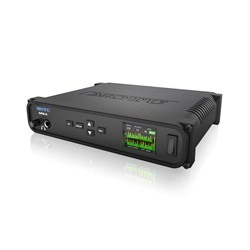 Control its powerful DSP mixer and effects from a connected laptop, or wirelessly with your smart device - or multiple smart devices - on a shared Wi-Fi network with the computer.